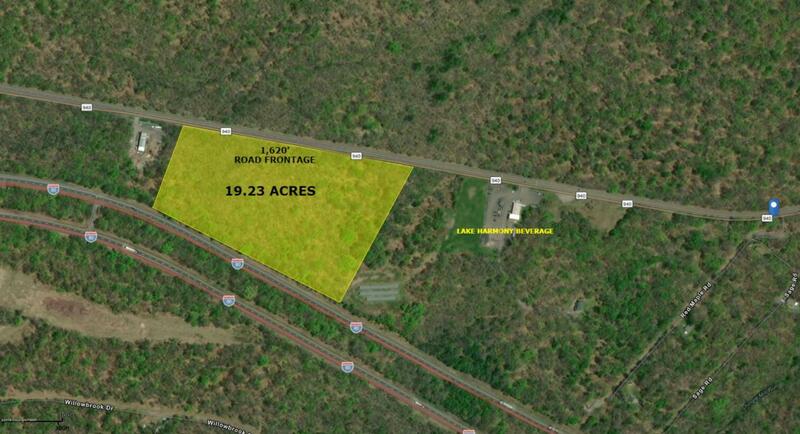 19.23 Acre land lease development site with 1,620' of road frontage on Route 940. Located near the entrance of Lake Harmony, Big Boulder and Jack Frost Ski Mountain. Many potential uses including retail, office and recreational. Close to Routes 940, 115, I-80 and the PA Turnpike. Near the Pocono Raceway, Kalahari and newly planned recreational centers. Zoned C-Commercial.